One thing I love to indulge in are chocolate treats. After all chocolate is so good and can be pretty good for you if you have it in moderation. Dark chocolate is rich in antioxidants, has wonderful flavor, contains a little bit of fiber and a little bit of protein. Each evening I always have a square of chocolate after dinner. 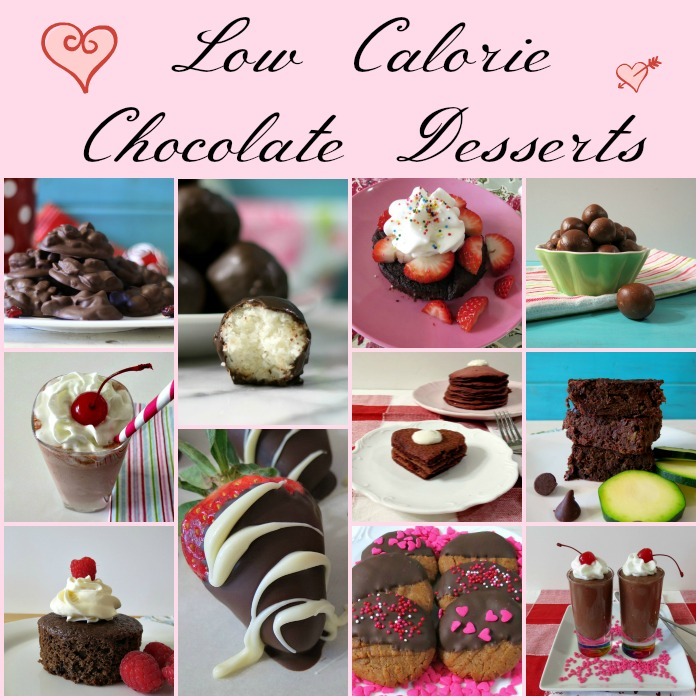 Since Valentine’s Day is coming up in less than 2 weeks, I thought I would share with you my personal favorite chocolate recipes that are pretty low-calorie and good for you to have every once in a while. Now I am not saying go out and eat a Snickers Bar or chow down on 3 brownies, but a little bit goes a long way. I have also teamed up with Foodie.com to share with you some chocolate treats that are perfect for Valentine’s Day. 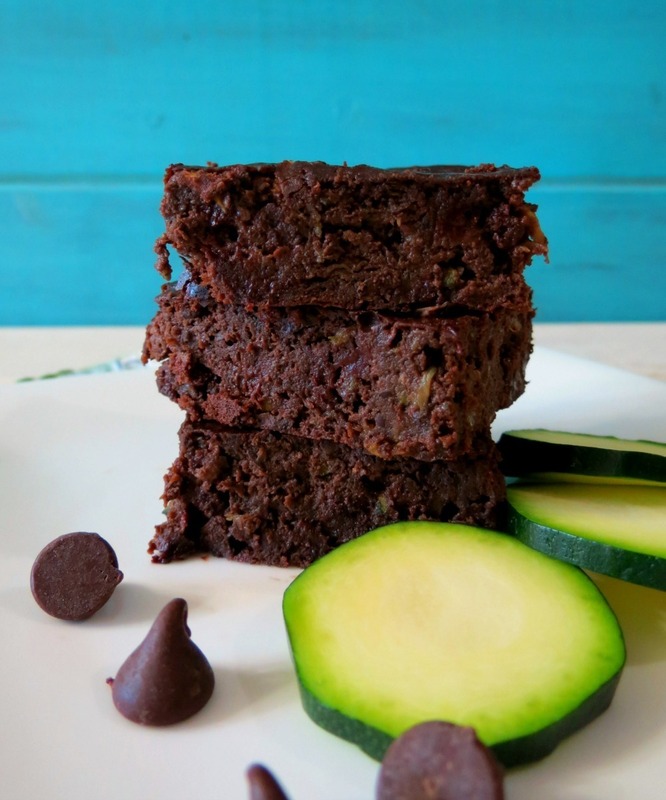 Chocolate Zucchini Beanie Brownies – These brownies are amazing and they are so moist from the zucchini and they are made with black beans. Trust me when I tell you, know one would know they are made with black beans. I tested this with little Jenny and she was shocked when she read my post and it said black beans. So give them a try! 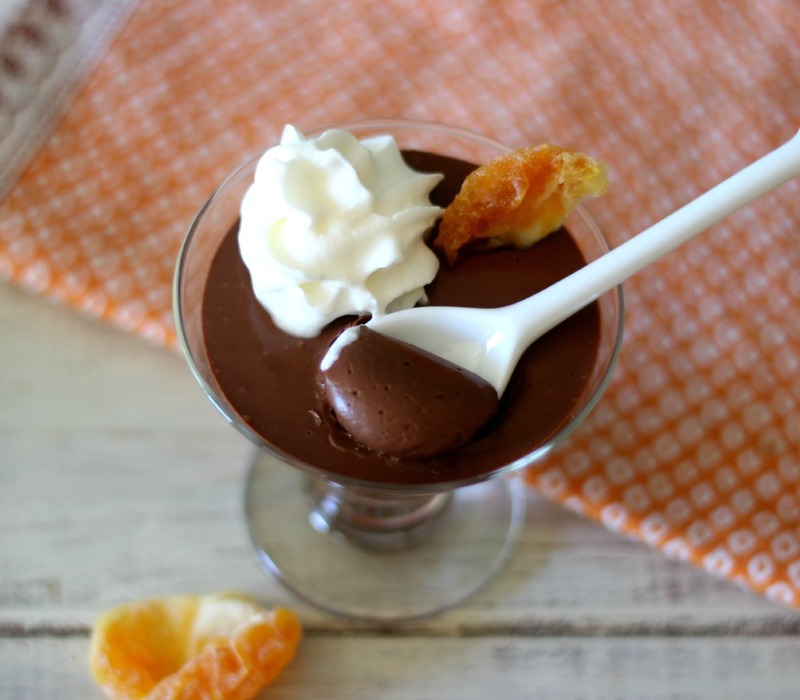 Chocolate Coconut Mousse – I love this mousse! It’s made with coconut cream from the can. It’s so easy to make and oh my gosh, rich, creamy and chocolaty. Plus it’s vegan and gluten-free. You’ll love it! 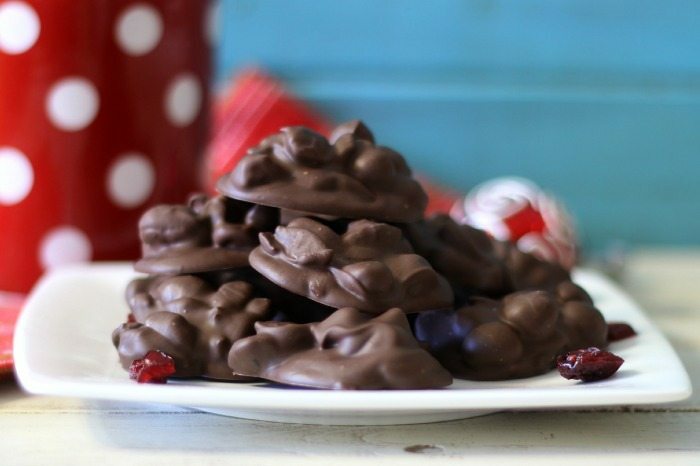 Chocolate Cranberry Nut Candy – This is super easy to make. It’s made with dark chocolate wafers, nuts and cranberries. Sub the cranberries for another dried fruit. It takes 10 minutes to make and perfect for sharing on Valentine’s Day. 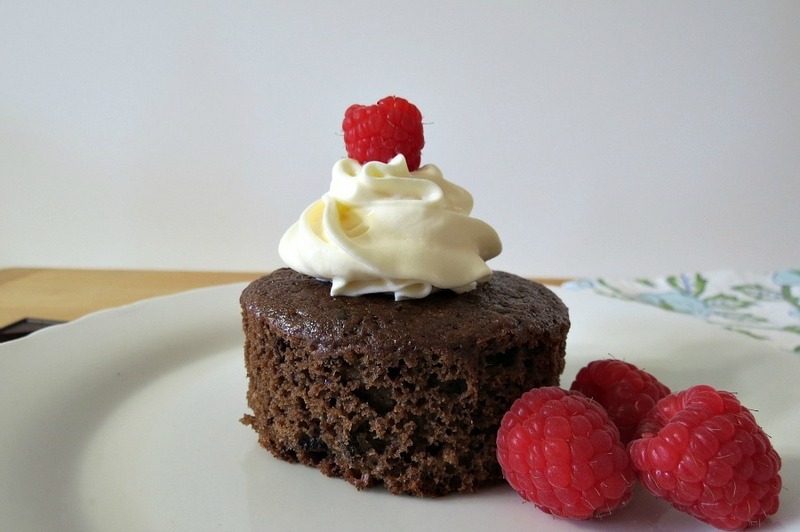 Chocolate Mocha Mini Cakes – These little cakes are a perfect complement to raspberries or strawberries and they make for a portion control dessert. Coconut Clusters – All I can say is yum to coconut and chocolate. 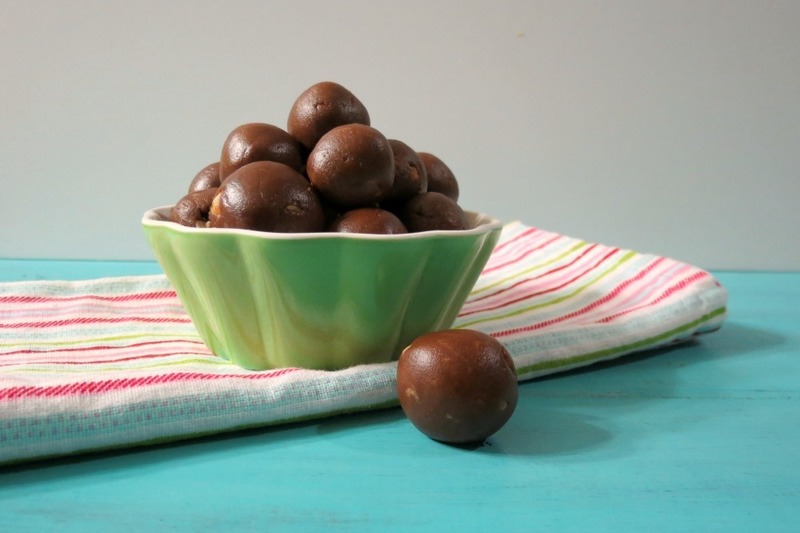 This is a great little candy and pretty easy to make. The hardest part is dipping the coconut into the chocolate. Easy peasy! 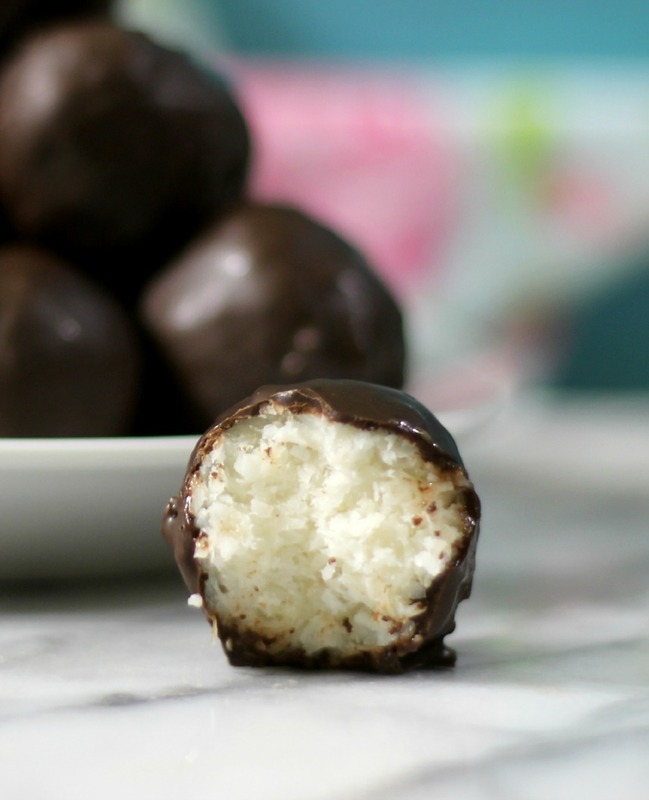 Plus this Sunday I have a new chocolate coconut candy to share with you. I can’t wait. Pots de Creme – Oh my gosh, this is a chocolate lovers dream. I will admit it is rich and creamy and not low-calorie, but so perfect for Valentine’s Day. Plus it is no bake! Snickerway Truffles – Ok, now you can have your Snickers Bar! This is a healthy little truffle made with chocolate, peanut butter and caramel extract. I need to make these again. Maybe tonight? 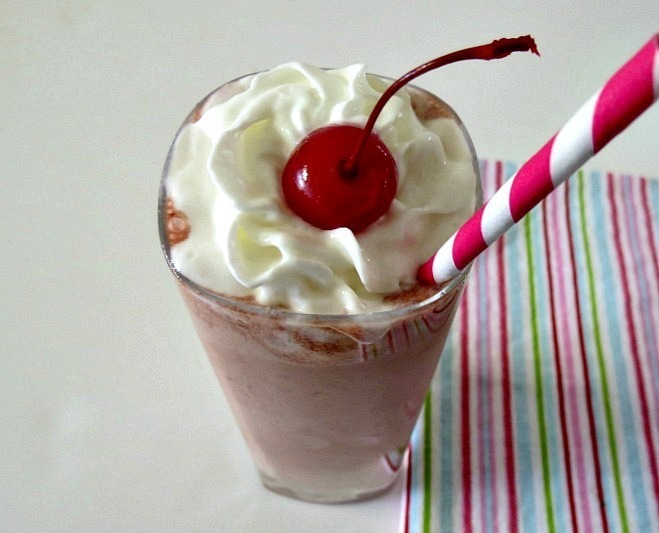 Chocolate Cherry Jubilee Frappe – Maybe you want to share a drink with a loved one? Double up the recipe and share. 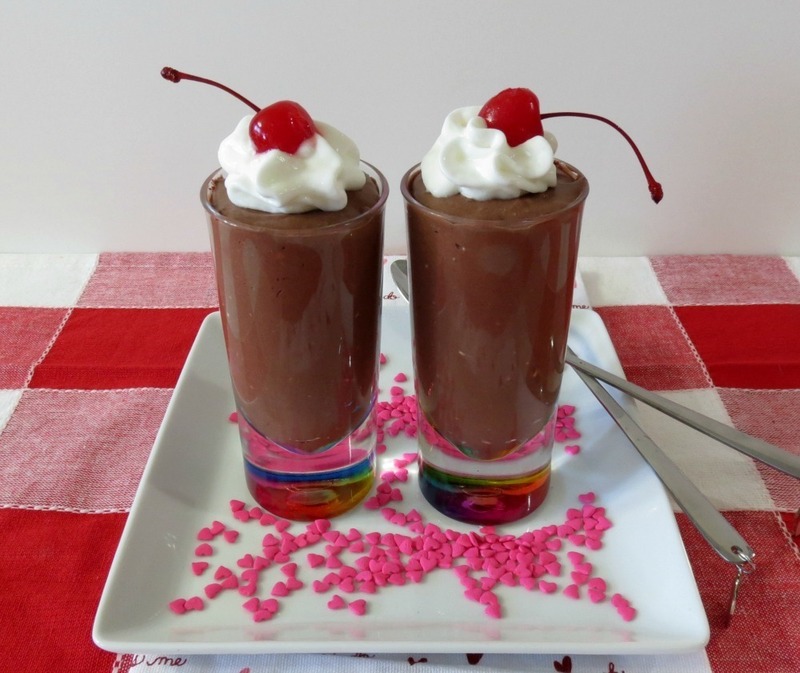 After all chocolate and cherries go great together. 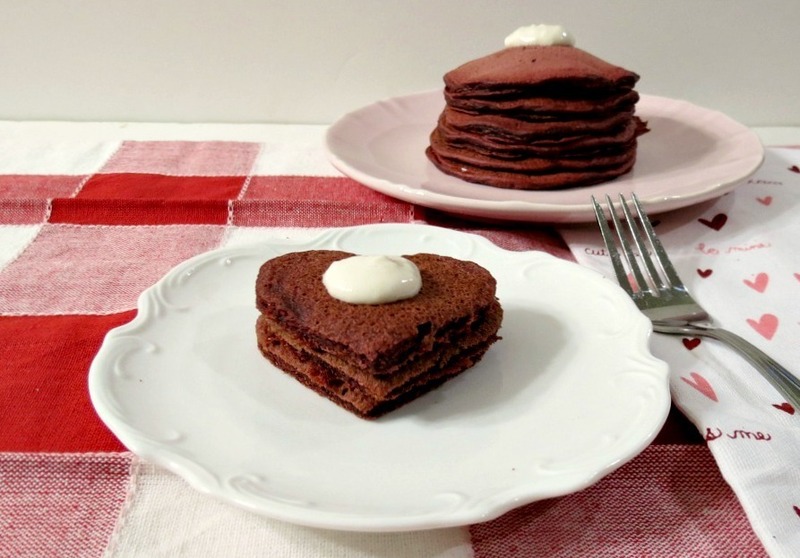 Red Velvet Pancakes – I know this isn’t an official treat, but it makes for the most romantic breakfast. I used a heart shape cookie cutter to make a heart shape pancake. It’s low-calorie and tastes amazing! 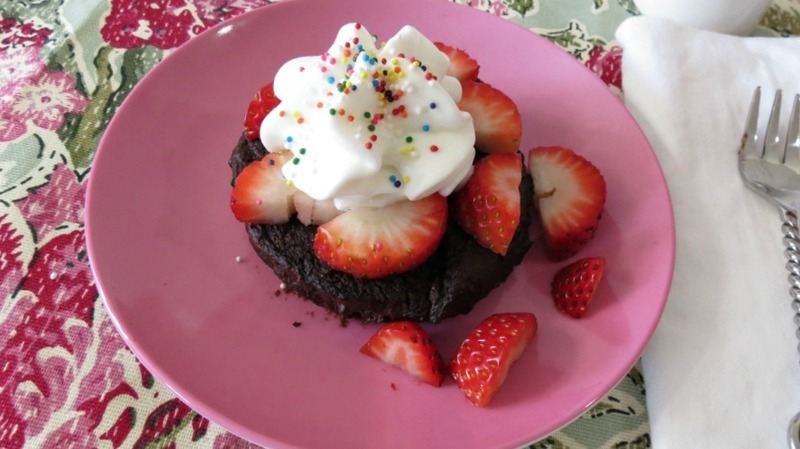 Chocolate Mug Cake – This is super simple, delicious and easy to make. You can share it with a loved one or heck eat it all yourself! We love making mug cakes in out house. All you need is a microwave. 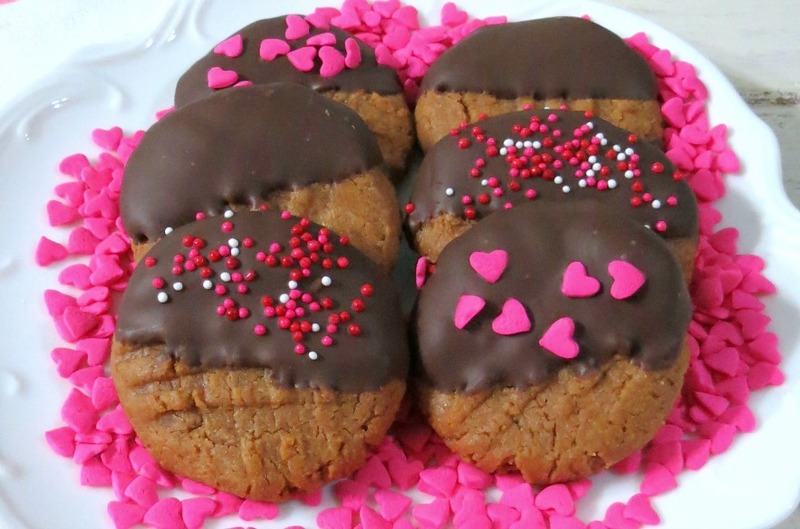 Chocolate Dipped Peanut Butter Cookies – Oh yeah! I love peanut butter and I love chocolate. These are a great little cookie that is great for gift giving. 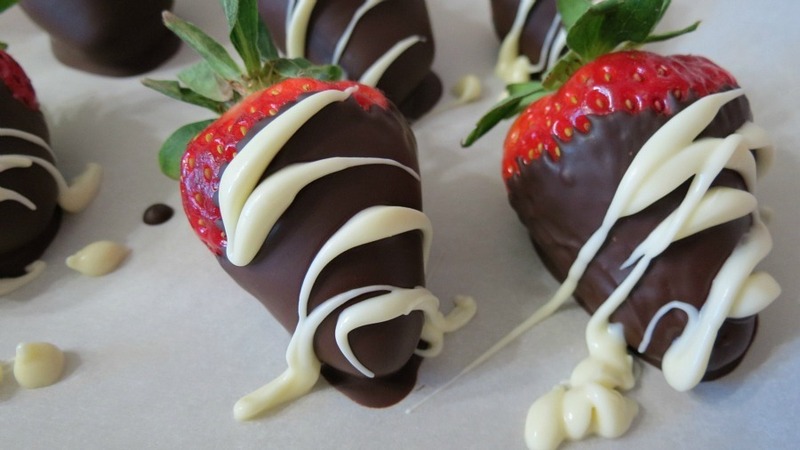 Chocolate Covered Strawberries – I don’t think a dessert can get any more romantic than chocolate covered strawberries. Simple to make and so elegant looking. Well that’s all I have for chocolate today, but boy am I craving a chocolate dessert. Which one to make? Do you have chocolate on Valentine’s Day? Yummmmm too all this chocolate!